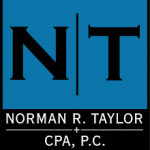 Norman R. Taylor, CPA, PC is a licensed accounting firm providing tax services, strategic planning facilitation services, management advisory services, and computer support services to small growth-oriented companies and individuals in the Colorado Springs area. Work For Norman R Taylor CPA PC? Claim This Page.